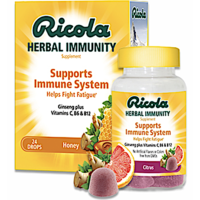 Hurry over to RedPlum’s website to print a coupon valid for a FREE Ricola Immunity Product Coupon – up to $11.99 value! Keep in mind that not all stores accept free internet printable coupons. While supplies last.